For the first few years of my kids' lives, I was able to either pick the cake they had for their birthday or somehow talk them into a cake I wanted to make....i.e. not a character cake. 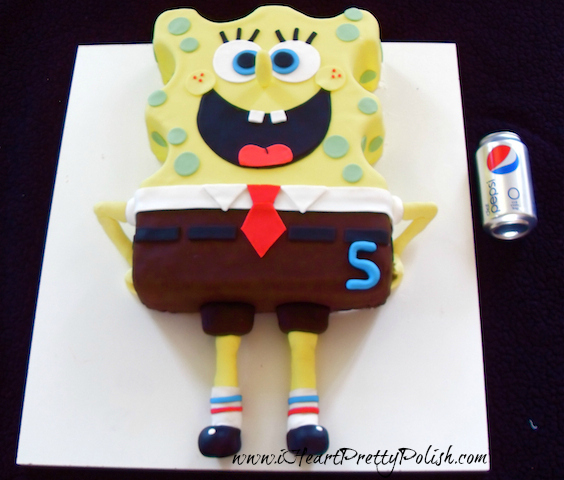 But when my oldest turned 5, she was determined to have a Spongebob cake. After some kicking and screaming by me, I ended up giving in and making one for her. This ended up being A LOT bigger than I planned. It was so heavy. I used a kitchen shelf for the cake board. The bottom picture shows it next to a can of pop for reference. Needless to say, we had over half of this darn cake left after the party. WOW!! Would you adopt me and make this cake for my next birthday? It's such a gorgeous cake!! Consider yourself lucky not to have watched Spongebob...he is quite annoying! I so enjoy the pictures if your cakes in the midst of the nail polish one! 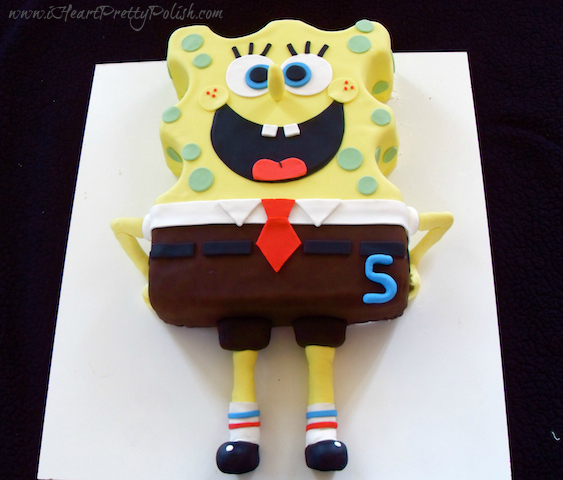 if your cakes looked like crap, yeah people would get bored. But your cake are gorgeous! Is it your day job or a hobby? Ah! looking at your bio, I just realized we live in the same state, maybe the same big cities! 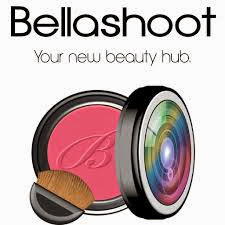 Maybe I can ask you this before I go run around town, have you seen the new creator nail polish from Illamasqua anywhere? Oh thanks:) It's just a hobby:) If you scroll down you will see links to the rest of the cakes I have posted under "Saturday Sweets". I am about an hour away from Minneapolis... I am actually going to MOA this weekend...I'm sure they have it at Sephora or perhaps Nordstrom?? I'll check! Are you around Minneapolis? Yep I live in the cities. Have fun at MOA, I have a love-hate relationship with the place. Love going there for H&M, hate spending all that money! ah totally! I love Ikea on week nights. Good luck with it :)! This is AMAZING!! You are so darn talented!! OMG I am craving cake so bad and this makes it a million times worse! LOL, well go take care of that craving! Thank you so much. I love this one! I should send you the cake made me for my 40th, you'd probably love it! Awesome job! I find Spongebob entertaining in (very) small doses, and in the morning. If I actually listen to it and not tune it out....I am a little surprised at some of the things that comes out of his mouth!